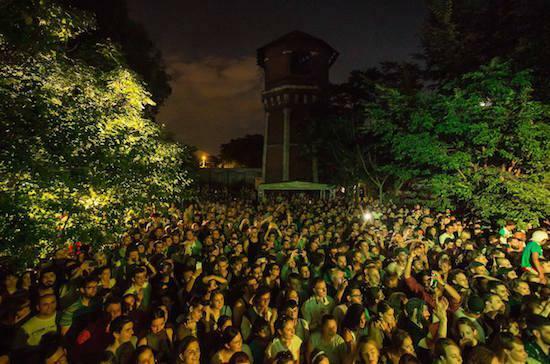 Bucharest's Outernational Days has been a champion for excellent, alternative music in recent years, with tQ heading along to the festival on past occasions to report back on what local and international delights its line-ups had to offer. However, the team behind the festival now need your help as the festival faces bankruptcy, and will need a collective effort to help make the third edition of the festival happen. "Outernational music comprises many contemporary hybrids from all over the world, from Kurdish halay to Bulgarian chalga orchestras, Peruvian chicha, Palestinian dabke, Mexican narcocorrido, Egyptian electro-chabi and Romanian manele, among other styles," the festival says, adding "none of them gets very much, if any, exposure in mainstream media. They continue: "When we drew the line after the second edition of the festival, we realised that despite its massive success, the festival was a financial failure. What hurts the most is that the festival risks to go bankrupt and thus will be unable to continue. "As we have used up all the resources, as we did not find any sponsors that would support us retroactively, as we did not find that Mecena to save us, the only thing we can do at this critical moment is ask for your help, the help of everyone and anyone that can and is willing to give us a hand." A fundraising event will take at the Kran club in Bucharest on October 7 and you can find out more information on that here, while you can help the festival in its crowdfunding campaign here. Read our report on the first edition of Outernational Days here.